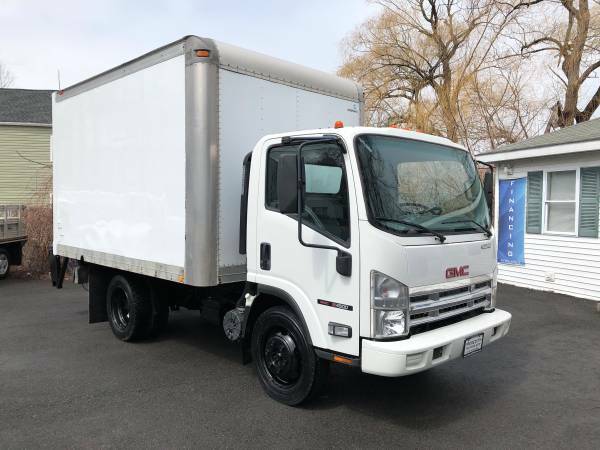 2008 GMC W4500 Box Truck w/ only 62k! New Tires..Auto..V8..
We just got in this W4500 BOX truck! The perfect truck for a company big or small. It only has 62000 miles on it and it runs like a tap. We just serviced it so it has brand new tires, new starter and the power tail gate works great! Sliding door opens and operates just as it should. It is a V8 gas model with an automatic transmission, power windows, power locks, radio and much more. Well worth the investment for your company. Call or Text Dave @ . We are appointment only.